The evolution and devolution of technology would have been sluggish and extremely limited had it not been for the internet. Bringing almost the entire world on one platform opened new avenues of innovations. However, some individuals decided to abuse the opportunity – for betterment provided by the internet – for their ulterior motives. One such abuse is the invasion of privacy. Especially, parents are becoming increasingly worried about how to protect their teens’ safety from the many types of predators scouring the internet for the next victims. The danger to the kids’ online safety has doubled with the growing popularity of social media networks, where there are more chances of coming across internet predators. A 2017 online study of school and college students found that 88% of students use Instagram and Snapchat, whereas 81% use Facebook. The same study presented that over 50% of students admitted that they use some social media applications over 11 times a day. Predators do not need to lurk around schools, get an ice-cream van or physically visit your house; they can just use Facebook, WhatsApp, Instagram, Snapchat, etc. to establish contact with your children or stalk them. The naivety of children often leads them and lands them in dangerous situations. The anonymity afforded by the Internet is more dangerous than trying to be anonymous in real life. The Internet has made it much easier for predators to target teenagers. Even if our children are sensible enough not to fall into traps laid by strangers in real life, the internet can lead them to meet someone online, and that’s where things get ugly. At best, teens’ safety gets exposed to some unwelcome suggestions. However, unfortunately, some teens do virtually meet strangers posing as younger people, and that can put them at potentially life-threatening risks. “My basic belief is that adults have proven to be vulnerable to cyber attacks and therefore, we cannot expect children to be any better, especially, given that their sense of curiosity is far more developed and their senses of caution far less mature. Teens’ safety is also compromised due to over sharing of personal information. Most teens don’t know the consequences of it. After all, it's easy to get pulled into an online conversation and give away the name of your town or school. People may pretend to be teenagers on the internet because other teenagers feel safe and can lay down their guard. But, again, they don't always know who they're talking to or who the other person actually is. "Predators often get away with it for a long time as they are capable of finding out a lot about their victim and becoming their “perfect” girl or guy. So ensure you lock down your profiles and don’t share too much personal info in public." Source:10 Things We Learned from Catfish, How do I Keep My Children Safe Online. According to a report presented by the Harford County Examiner on cyberbullying, only 1 in 10 teens inform their parents about being bullied online. "Unless you’ve directly experienced bullying, you may not realize just how devastating it can be, especially to a child or teenager. As well as being deeply hurtful, bullying can leave children feeling frightened, angry, depressed, and totally undermined and helpless." No parent would want their children to go through such a traumatic experience and therefore, steps must be taken against bullying and cyber-bullying. Parents should be vigilant and watchful to ensure that their teenagers are neither being bullied nor are they becoming bullies. Your child has a large number of social networking accounts on multiple sites. A person makes multiple accounts in order to hide his/her identity, and this might be because they use them to harass other kids. They spend long hours online, almost obsessively, perhaps being online when the rest of the family is asleep. Share your concerns with your child’s teacher, counselor, or principal. Work together to send clear messages to your child that his or her bullying must stop. Sometimes, whenever someone does something embarrassing or uncharacteristic, someone records it and posts it without a thought. This is something which we do unconsciously. Such acts ultimately puts other teen’s safety on the Internet at risk. Posting a video or a picture without realizing the consequences can destroy a life. Furthermore, when we come across such videos online, we are immediately attracted to it. If we, as adults, indulge in such activities online, how can we expect our teenage children to act any different? They won’t stop until we do. Netiquette is the informal code of conduct for the internet. Netiquettes are informal ethical rules for how to behave when relating to other people on the Internet. These include being polite, using correct language, not yell at (write in capital letters) or harass others. Other teen’s safety or privacy should be respected, and free speech should not be confused with hate speech. "To invest in having one-on-one time with kids, daily. By far, the best thing you can do to improve your children’s behavior is spending time with them individually every day, giving them the positive attention and emotional connection they’re hard-wired to need." "I think the existing videos validate risky behavior for teens and give them a way to get publicity if they post a video”. Teen’s safety on the Internet is not always about privacy or online threat. 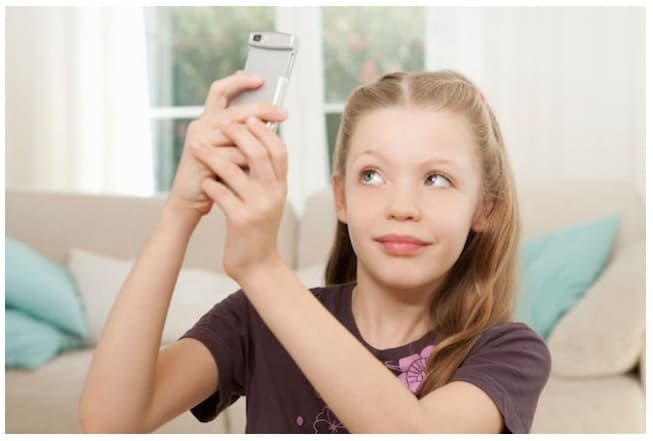 Many teenagers want to be the next internet sensation. Unfortunately, in order to do so, you have to do something extreme. Too often, that results in them doing things that are physically dangerous or even humiliating. Not only are they not prepared for the consequences, they can even sustain life-threatening injuries. Every action has a cause, and there can be various root causes for attempting dangerous stunts, including the aspiration to look cool, achieve universal admiration, earn money or satisfy their adrenaline drive. "Stress should be on knowing our children, watching behaviors and having conversations with them. There's no substitute for parents and teachers who are engaging with their kids." Keeping teens safe online or offline is every parent’s responsibility. They should recognize the real issues that cause their teenagers to behave like this. To do so, they will have to sit and engage with their children. They should understand what prompted their teens to take this route. Sometimes impulsive behavior is a consequence of low self-esteem and therefore, it is imperative that parents provide moral and emotional support to their teenagers to make them feel wanted and confident. Teenagers are too concerned about looking cool and being admired by others around them. It's important to make them realize that they are cool no matter what, and as long as they are their real selves, people will end up admiring them. Perhaps not all of them, but that is a lesson in itself; you can NOT please everybody, so why even bother! Just be yourself and don't do anything stupid.